Looking for a pretty photo to contribute to my good friend’s from One Modern Couple for their compilation of best Sunrises and Sunsets, I realized that, in 2015, I have had the privilege of taking first row in this show several times so I wanted to wrap the year up with the best ones. Anybody who knows me will tell you that I an early bird. I fall asleep at night and I am always awake early, no matter the time I got into bed. I just can’t spend time tossing and turning in bed, once I’m awake I need to get up and out. Go explore the world! Naturally, I love watching sunsets, who doesn’t, but, because of my ability to pull the bed sheets off pretty early, I get to witness nature’s stunning sunrises too. I often organize my day around the sunset, to make sure I am able to see it, and always look for East and West when I get to a location. You may have noticed that I tend to mention if a resort is facing either to point at the sunset or sunrise opportunities. In short, I am a bit addicted to seeing the sun come up and down. Did you know that the sun sets and rises at different times every day and that the variation depends on how far you are from the Equator? Obviously, this is why in winter, days are shorter and, in summer days are longer. If you live in the tropics like I do, variations throughout the year are almost unnoticeable as the position vis-a-vis the Earth’s axis does not vary much. Although we consider, and in many places celebrate, the Summer and Winter Solstice, the longest and shortest days of the year are not actually on the Solstice days themselves but around those dates. You can read more about the very interesting elements surrounding sunsets and sunrises on Wikipedia. I particularly like this one because the sun came down slowly over the horizon and we were sipping white wine as it did. Shame the mosquitoes were killing – Ah what goes on behind the scenes! What you see is the Mekong River and a traditional Laotian boat. Luang Prabang turned out to be an amazingly peaceful and enjoyable trip. 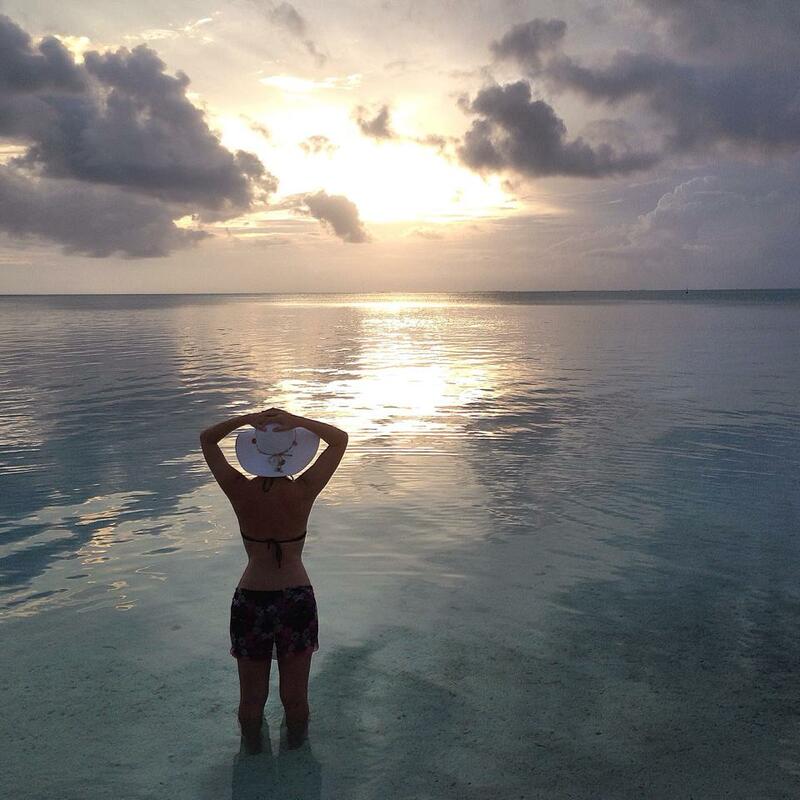 I started the year in Bora Bora and then headed off to the Cook Islands where I spent a few days in Rarotonga, the main island, and the flew to Aitutaki Island, one of the most breath taking places I have ever seen. It was so stunning and the water so shallow. I spent the days sailing inside the lagoon and took this one on my way out, flying back to Raro. This is where some of the most beautiful beaches in the South Pacific are. The North of Bali is an undiscovered nature haven with volcanos, waterfalls, black sand beaches and pretty much no tourist in sight. I truly enjoyed my time there and the amazing stay at Spa Village Tembok. Singapore shows its true colors at night. When the sun sets, if you know where to go, you can witness some of the most amazing colors above the designer skyline. This one was taken from the Marina Barrage, an area in Singapore only locals know, on the other side of the river, behind the Gardens by the Bay where I often go for a walk or a cycle. 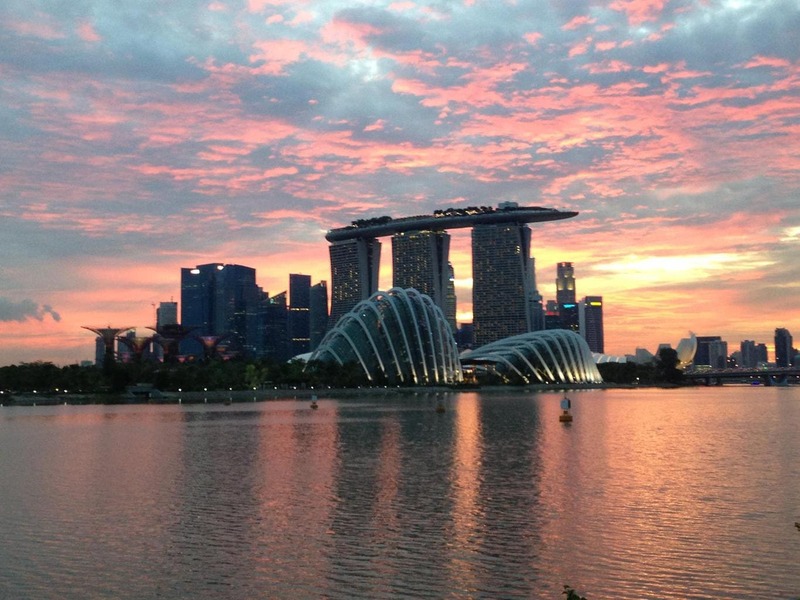 Here’s my 48 hour itinerary for Singapore and 50 different things to do in Singapore. What to say about the world’s most romantic island? Bora Bora truly has all the ingredients for the best honeymoon you can think of. I took this shot after a storm which completely cleared the air and left calm waters. Matira Beach has been chosen the world’s sexiest beach and it is indeed very beautiful. A crescent shape, the waters are warm in that unique turquoise color. This photo has no filter and no editing. Visiting Pakistan, and Lahore in particular, this year was one of my highlights. The opportunity to experience a place that so few get to see, in the hands of a wonderful group of local Pakistani who showed me around and took care of me was truly special. 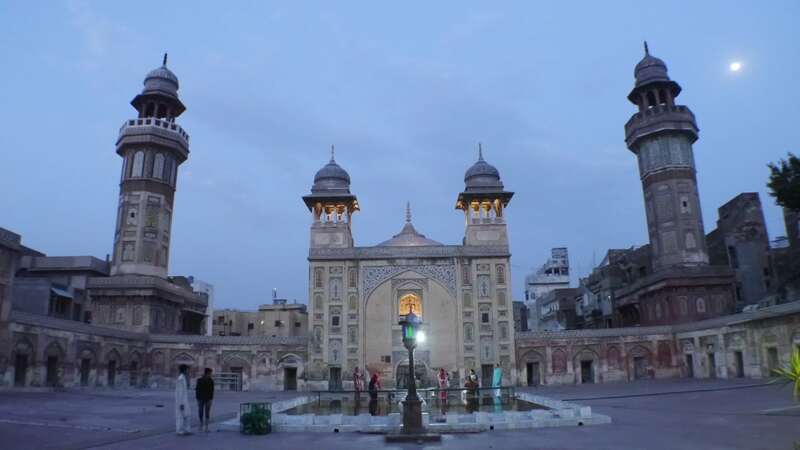 On that particular evening we were walking the Old City of Lahore, inside the city’s walls, with an expert guide, when the sun started to set and the colorful beautiful frescoes and tiles of the Wazir Khan Mosque took on a caramel color as the call for prayer resonated in the neighborhood. It was a magical moment. You know what will be the best sunset this year? The one I will spend over the sand dunes of Sossusvlei, in Namibia, where I will cross into 2016. I have stayed at some pretty stunning resorts this year but the Conrad Koh Samui has to be one of the top-2. The sunsets from the West facing pool villas were just breath taking. It was not just the beautiful colors in the sky, but the reflections on the pool and the picture-perfect islands on the horizon. Can you beat this? A compilation of the best sunsets of 2015 could not be complete without the beautiful sunset from the private beach of Soneva Kiri in Koh kood, Thailand. The resort’s crescent beach faces the sun setting and the colors of the sky turning from blue to red are simply incredible. I recorded this time lapse that shows the changing hues and the sky on fire. Here’s my review of Soneva Kiri. The more than 3,000 temples in Baga, Myanmar, are a stunning backdrop to the setting sun. Find a higher perspective to watch the sun set behind the stupas. There is no better way to end the day. Wondering what Bagan is like? Read more about the lost world of this ancient city. Djibouti had one of the most surreal landscapes I have ever seen. Walking the strange area around Lake Abbe was like stepping into a fantasy world. The sunset was extremely long, taking over an hour for the sun to linger in the horizon and finally hide. When the moon came up, it stayed in the sky only for a few minutes before setting too. Without any light pollution and with the nearest inhabited enclave hundreds of kilometers away, the Milky Way appeared clear to the naked eye. What are your most beautiful sunsets?